Handcrafted Oxymore cocktail glass in clear. 4.6"Dia. x 6.7"T; holds 7.4 ounces. 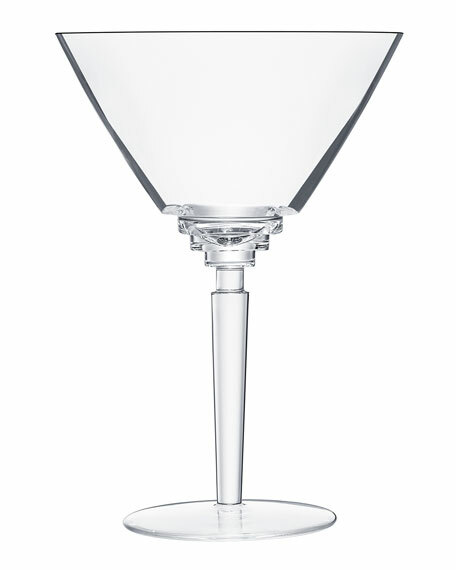 Made exclusively in France since 1586, Saint Louis crystal vibrates with the immense talent inherited from time-honored techniques and the creativity of contemporary designers. Every day, Saint Louis signs crystal creations crafted by master glass blowers and hand cutters considered the best in France and possessing irreplaceable skills enriched generation after generation. Saint Louis continues to forge the very essence of its identity with rigorous attention to excellence.